Below are disease-specific recommendations and guidelines for correctional facilities and healthcare settings. This page is updated regularly with the most recent guidelines and recommendations available. Additional CDC guidance documents are available for the prevention and treatment of HIV, STDs, Viral Hepatitis, and Tuberculosis as well as school health guidelines. 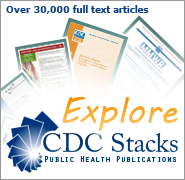 You may also visit CDC Stacks for a searchable repository of current and superseded CDC guidance documents. Use the advanced search feature and select the Guidelines and Recommendations collection to filter your search query by subject, title, or other criteria.